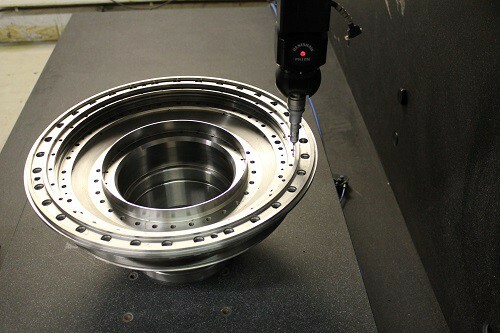 Truth 'S' will scan regular or irregular contours taking thousands of data points in seconds while also offering conventional CMM touch-trigger technology. 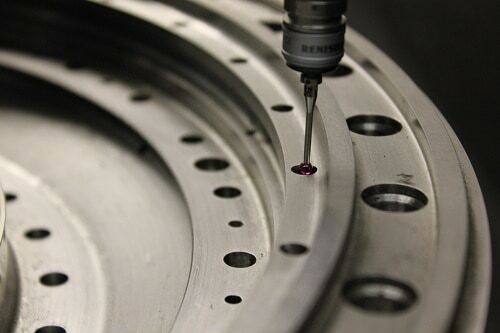 In coordinate metrology terms, dimensional measurement is influenced by the quality of the geometric features of a component. For example, holes are round to varying degrees of excellence; planes are flat to degrees of flatness. 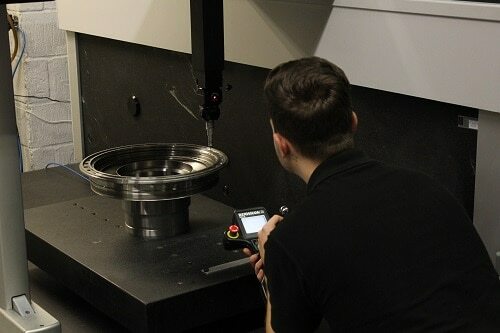 On a conventional CMM, the number of touch-trigger or data points provide the basis for mathematical calculations when stating, for example, size, diameter or flatness of a plane. With Truth 'S' we determine in seconds the roundness, straightness or flatness of a plane during the measuring process by collecting many thousands of data points in a continuous scanning mode. The shape of a diameter is examined, and a 'best fit' solution is calculated to display the result. Truth 'S' will read and compare to a CAD file or determine an unknown shape and in so doing produce a reverse engineered CAD file. Components having geometric features as well as free-form contours are measured during one continuous operation. 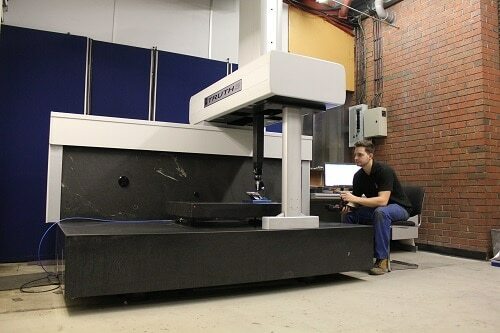 Items previously considered to be outside the scope of a coordinate measuring machine are comprehensively measured. For example, turbine blades can now be measured rapidly with leading and trailing edges viewed in absolute detail in seconds. Powerful software provides graphical dimensional outputs to a selected format. Best fitting solutions provide off-sets and rotations thereby answering questions of "is there a good component available here?" Form deviations and errors can be exaggerated to offer a greater graphical appreciation of problems concerning the component. Batch loading enables the operator to inspect a variety of different components or many similar items whilst Off-line programming maximises machine up-time. Renishaw SP600, SP25 and SP80 are combined with the latest Renishaw controller to provide precise data collection. Truth 'S' is verified and certified in accordance with ISO 10360, the international standard for CMM's, and offers a performance second to none. A highly developed software and control system harnesses the unique Truth 'S' electro-mechanical construction. Precision vee-flat guideways are hand-finished to provide extremes of parallelism, straightness and flatness. Stability and integrity while actively scanning are provided by a kinematic mounting system, employed throughout the entire mechanical structure. The independent Y axis assembly is unique. It is designed to minimise structural deformation due to inertial forces created while the machine is measuring. The unique mechanical design features of the Truth 'S' negate the use of 'error mapping'. Quoted specifications are therefore achieved by design and manufacturing excellence. All Truth 'S' machines are supported by ISO 10360 certificates of performance verification. If you’d like more details about the Truth S Bridge CMM, then our team are available to help.